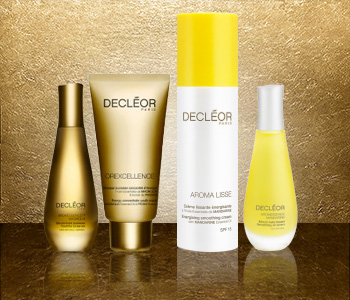 Halt the effects of the skin maturing process with the Decléor Advanced Signs Of Aging range, a powerful skincare routine for those that are serious about diminishing wrinkles and fine lines. Designed to plump, firm and nourish your complexion, the sought after Orexcellence range works to lift and renew your skin, whilst tackling the issue of age spots and unwanted pigmentation. This luxurious anti-aging skincare routine reveals your skin’s youthful glow day by day.